For as long as I can remember, I have known that I wasn't fit for the corporate world. Like J.D. Roth, the founder of Get Rich Slowly, I am an introvert, not a fan of authority and even less of structure. So even before I graduated college, I had my mind on one big goal: leave the corporate world as soon as possible. I was working for a big IT multinational in business school; those were not the happiest times, but that job allowed me to graduate debt free, with a small nest egg that I immediately invested to buy my first rental property in cash. I believe real estate is one of the best way to build wealth and make money, since you generate an almost passive income, but it was far from enough to cover my basic living expenses. I started playing with those online savings calculators to see where my savings would take me in 5, 10 or 20 years. It was a revelation. Do you know that if you make $2,000 and invest 10 percent of your salary at 6 percent for the next 40 years, you will have $400,289 for only $96,000 invested? At a 4 percent withdrawal rate, your nest egg will produce a monthly income of $1,334. Less than the $2,000 you are making today, or the $1,800 you are living on since you are investing 10 percent of your salary, but no small change. The thing is, I didn't want to wait for 40 years. Playing with the calculator some more, I found out that if you can live on 25 percent of your salary, to cover your expenses in retirement, you only need to save for 7 years! Living on 25 percent of my salary was a bit of a stretch, so I looked for ways to make more money. I bought a three-bedroom apartment and took in two roommates. I took odd jobs on top of my day job; I was making money tutoring at night and writing for several travel websites on the weekends, catering at weddings and freelancing as a translator. The plan was to retire around age 40, but I was so determined to quit my last job that I considered an alternative: how about leaving the U.K., where I worked, and relocating abroad? At the time, I was 29 and owned two rentals in France and the U.K. that would cover my expenses in a cheaper country. I had a few investments that could cover the mortgage on the second rental (the first one was paid for) in case of a vacancy. And my freelance income was more than what I made at my day job. It came from half a dozen sources, and the probability of them all drying up at once was slim. I quit my job and took a one way flight to Morocco. I lived in Casablanca for a year, and started a life of semi-retirement. I would cycle along the oceanfront, study Arabic, spend hours shopping for fresh produce or eating grilled camel at the market, and travel for weeks at a time to get pictures and posts for my travel writing gigs. I loved my time in Morocco but kept thinking about a country I loved even more, Guatemala. I had lived there for three years after business school, and after traveling to 80 countries, it was still one of my favorite. After a short trip there, I knew it would be my next destination. I found a piece of land by a beautiful lake in the northern area of the country, complete with a lovely little house that could become a guest house someday (one of my dreams). I bought it with cash along with with a 90-acre piece of land that I am turning into a residential development. I have been living there with my boyfriend for almost a year, and after putting quite a bit of cash into house renovations and building a detached room and panoramic terrace, we are living happily on less than $1,000 a month, or $500 each. Housing: $0 We bought our property with cash. You can rent a lovely furnished one- or two-bedroom house in Antigua Guatemala or Lake Atitlán, the two favorite retirement spots in the country, for $500 to $700 a month, generally including utilities. For a bigger colonial home, you will have to spend $1,000 to $1,500 per month. Food: $200 This is pretty high, almost the minimum wage in Guatemala but we like to eat and that includes some imported products we enjoy (like cheese!) and some alcohol. We seldom go out. Car: $100 We have two old cars that we bought with cash and put about $100 per month in gas. Electricity: $80 With the house renovations there were drills and tools plugged all day, we occasionally use air conditioning, and pump our water from the lake to cook and shower with an electric pump. Natural gas: $12 for a 25 lb. container that lasts about a month. Staff: $300 We have a full time handyman/gardener around the house, who alternates with his girlfriend who comes to clean the house. This is a great perk to living in Guatemala. Animals: $20 We have a rooster and 10 hens, some turkeys, ducks and roosters. They eat a $20 bag of feed per month, we eat $40 worth of delicious free-range eggs each month. Win-win! Internet: $80 We spend $40 each. He pays for a data plan on his iPhone, and I pay for a wireless USB modem. It's expensive, but we are in the middle of nowhere! Accountant: $20 We own the house and land as an LLC so we need an accountant. Random: $150 Once in a while we go out, buy something for the house or go over the grocery budget, but that never comes to $150 though, but if something breaks it could. It is quite complicated to get car parts or any parts around here. That's a total of $992 or $496 per person. On top of that, I spend about $3,000 per year or $250 per month on travel. I fly back to France for a month but stay with my family so apart from a $1,000 ticket I don't spend a lot, my last trip cost about $2,000 so I still have $1,000 to travel somewhere else, maybe the U.S., by the end of the year. You may have noticed that I don't mention healthcare. When I go back to France I get my physical from my doctor, and I do not have health insurance here, just a travel insurance included in my credit card that will repatriate me if something serious happened. This year, I only got a root canal in Guatemala that cost $200. With the cost of a rental, healthcare and travel back to the U.S. once or twice a year, you could live well here on less than $1,000 per person. Go the extreme early retirement route, and you can live on rice and beans for less than $300, housing included. But is retiring abroad worth it? I wrote a post recently to compare the costs of early and normal retirement in the U.S. versus abroad, where I concluded that you could either live better than you do for the same price, have a bigger home, some staff, a lovely piece of land with a view for the price of a 500-square-foot condo, or be able to retire years earlier by moving to a cheaper country and living by local standards. For me, Guatemala meets all my requirement. The weather is mild all year long (they call it the land of eternal spring), people are nice and relaxed, the cost of living is very low and you can find most things you may want or need, from imported tech gadgets to U.S. trained doctors, albeit at a cost. I enjoy my month-long European holiday to visit my family and friends. Since I have been living abroad for the past 10 years anyway, I am used to emailing and Skyping the rest of the year. They visit me occasionally, as well. I could live in France on a similar or slightly higher budget but would not get the same quality of life. Where you will spend your retirement is a very personal choice, and for many, being near your family will be on the top of your list. Although if your kids are on the West coast and you are on the East coast, you are just as far away as if you had retired under the Guatemalan sun. This is a post by Pauline Paquin, who blogs at Reach Financial Independence. It was originally posted in 2013 but has been updated. There are 76 reader responses to "How to Retire Abroad on $500 a Month". Living with no health insurance is a risky endeavor; I was in my 40 and needed surgery for a blown disc in my neck.. It scares me what that would have cost if I had to pick up the tab out of my pocket entirely. Other than that it sounds as if you have found your paradise. That part made me scratch my head too. Imagine having a serious accident that requires extensive care and rehab — and then having to fly half way around the world to get it! I’m guessing she must have a good emergency reserve of cash? It sounds like she has French citizenship, which means she has access to the French healthcare system. For Americans, the issue would not just be “repatriating” oneself back to the US, as while this country has excellent healthcare, it’s just not available to people who can’t afford it. And it wouldn’t take much to easily run up a tab of 100k+ at an American hospital (I know I’ve done it) — not something one can easily afford to self-insure via savings. For Americans, adding health insurance (even if just catastrophic coverage) to the budget is a must. But if you’re sick and have to fly back for $1,000 to use the free healthcare, that’s not very cost efficient. Practical for normally occurring appointments, but not if you get sick and need care now. @Gary- The article implied that the insurance from her credit card covers the cost of emergency travel. I understood that she has access to the French healthcare system, but if her health needs were extensive and lengthy wouldn’t that mean being away from her home for an extended period of time? Would the insurance cover her and her boyfriend suddenly having to live in French for several months, for instance? I’m just curious — I’m a cautious type, so I would get health insurance if I lived abroad. (i don’t even travel to the U.S. without coverage!) Some types of insurance do cover things like accommodations and flights for the next of kin, etc. I don’t think I have a minor illness and need a doctor’s appointment and some meds counts as emergency. But, regardless, at some point, I’d think the card would eventually realize she’s not really traveling, she’s living there. So while she might be getting by with that, I’m not sure it’s something we can (or should) model and imitate for ourselves. But that really depends on the “travel” insurance on your charge card. That is correct Darce, as long as you are covered by the French healthcare system, they would even take care of emergencies abroad, with the maximum limit at the French rate. In most countries, like Guatemala, a doctor will cost much less than in France so most of your treatment would be covered. Unless you travel to the US where it would be very costly to be treated, insurance is not a must. Yes, I did find a nice paradise. Health insurance is a must in the US but remember I am covered for expensive surgeries, so I wouldn’t have to put more than $5,000 out of pocket for any treatment. Having the cash I don’t mind taking the risk. In the end Pauline I think all that matters is that you found a way and you found what works for you. People can look to do what you did and make it work for them or they can make their own way and make that work. Its not that anything is easy in life but we tend to make it a lot more difficult then things have to be. Kudos to you and finding your happy place and living out your dreams. Great story! Sounds idyllic. I think the part that impressed me most was graduating with a “small nest egg” (small?!?) that allowed the OP to pay cash for a rental property. Retiring abroad isn’t for everyone, but I think it’s worth considering. I think I could happily live a simpler life somewhere, but it would be hard to be away from my family. Still, you never know what the next decades of life will bring. I was lucky to get scholarships in college and worked tons of student jobs, often 2-3 at a time, tutoring, waitressing, etc. Until the last two years of business school where a company paid for my masters and gave me a decent salary to work part time. Another great cost difference between Europe and the US, I went to La Sorbonne University where tuition was under $1,000 a year and then to business school at around $10,000 a year, still very cheap compared to the US. What about friends? I love hanging out weekly… Family is different. Visit them once a year is enough ^__^. Does moving abroad mean to abandon them? I’d love to read your opinion (instead of experience, if you like, as that my be too much personal). Thanks and congrats!! My closest friends live in Guatemala city, 8 hours away, as I lived there 10 years ago for 3 years. Around here I have a few friends, my boyfriend owns a ranch nearby so he knew a few people already. About half our friends are expats and the other half are locals. I would say we meet at least one friend per week, but we don’t have Tuesday happy hour or Friday game night. I am an introvert so I don’t miss it too much, I often email or skype my friends and when I go back to Europe spend a few days with each friend, and prefer that quality time to a rushed hour in a noisy bar. The real question is….for how many years? If you retire at 30, you’re staring down the barrel of potentially 50+ years of withdrawing that money. That’s a crucial part of this “equation” that’s missing. this is considering a 4% withdrawal rate and 6% rate of return on the markets. If you make $2,000 a month and can live on $500, after 7 years you will have a nest egg of $150,000 that will give you $6,000 a year at 4%. I would NOT have retired with only $150K, because most of that would be in my home and not generating any income but that is an example so you get how I calculated it. Great article! This may sounds a bit dumb, but I’ll ask it anyway. What kind of inversions are those, the ones that give you “$400,289 for only $96,000 invested”? I clicked the link, but the calculator I found said I’ll have only $117.000 after 40 years with a similar inversion. Google investment calculator, use 6% return, 200 a month for forty years. 400k back for a 96k investment. Hi Laura, I have made the calculations here http://reachfinancialindependence.com/savings-rate with a 6% rate of return which is pretty average, and then a 4% withdrawal rate. Nice post! Living in Nicaragua, I’ve met many expats who have retired here. I’ll definitely consider this an option in the future, as well. Life is definitely interesting when living abroad, and no doubt that you would need only a fraction of the money compared to living in your home country. I think the $500 per month is understated. Because your trips back to France and to other countries are a part of your living, those should be included. That’s one of the costs of living so far away! And as others have commented, the health insurance will be a larger expense for anyone who is not from a country where health care is more socialized. Thanks for the post. Interesting to learn more about someone who is living abroad in that manner! In my case you are right, but I think going back “home” is a personal choice, I know expats who go back every 2-3 years, and with Spirit you can fly to the US for $200. $200 every couple of years is far from my $1,200 ticket to Europe once or twice a year, so I wanted to expose the costs of simply living there. Well, $500 a month is possible in your case due to the fact you are splitting costs with someone ELSE who is also paying $500 a month. That’s a bit disingenuous. But it sounds like a perfect fit for you and I congratulate you on your planning your life so well. Is Spanish among your languages? Personally I can’t imagine what the heck I would DO in Guatemala. Do you feel culturally enriched there? Can I ask what you do with your time? Funny you mention cultural enrichment. Having grown up in Latin America, I found more “culture” at a bar table there than in 500 channels of USA “reality TV” and the isolation of suburban life. But nobody asks about “cultural enrichment” in Middle America (the bulk of GRS readership). Oh, yes, I did go there! But not really to condemn the USA (which is big and diverse)– only to make a point. What I mean to say is, there’s plenty of “culture” around the world. And in my observation, the middle classes in Latin America generally read and socialize a lot more than here. And with the internet, and trips back to France… I don’t see the author as lacking in enrichment opportunities. Oh yes, El Nerdo, let’s definitely bash all of America as watchers of 500 channels of reality TV. No cultural bias there. Oh no. We’re certainly all beer drinking, cousin marrying, crotch scratchers compared to the rest of the world. Come on, if you reread my post for comprehension you’ll notice I wasn’t doing that but rather mirroring your assumptions about Guatemala, just to make a point. I’m with El Nerdo here. Are you serious about asking Pauline if she feels culturally enriched in Guatemala? Surely you have a happy life wherever you are, but to make assumptions that people in Guatemala don’t have a culturally enriched life only exposed your cultural bias. Other civilizations existed and cultures flourished before 1776. Pauline… A great post. We’ve lived in Prague and Shanghai for an extended periods of time. Life as an expat was great fun, ENRICHING and rewarding experience. We are back in the U.S. now and would not rule out retiring abroad in the future. My husband is particularly enthused about Bali, Indonesia. Thank you Nancy. I loved Bali and it looks like Indonesian is really easy to learn (and compared to Chinese or Japanese, a walk in the park), but I chose Latin America because I feel more at ease there, the culture is quite similar to that of Spain or Italy, with the Maya culture and a bit of US influence coming into the mix. Some expat friends only swear by Asia and I can see why too. Pauline’s actually written several posts about some of the different festivals and events they have in the town she lives closest to that sound like amazing experiences. It might not be the symphony, but she doesn’t make it sound like any less of a rich life than we can live in much of the US. El Nerdo – I think you are being overly sensitive about Anne’s comment. When I first read it, I didn’t interpret it as negatively as you did. I read her question of what a foreigner would do in Guatemala in reference to her query about language. A lot of cultural experiences wouldn’t be accessible to someone if they didn’t understand the language. My mother-in-law was thinking of retiring with her husband to Ecuador. My first thought was exactly the same as Anne’s – what in the heck are they going to do with themselves there? This has nothing to do with a sense of ignorance about the depth of Latin American culture. I was born in Ecuador to Americans and grew up surrounded by Latin American culture. But my internal question regarding my mother-in-law was more directed at their status as outsiders so far away from their home and family. They don’t know a lick of Spanish and were just thinking of retiring there because it was cheaper. Later I learned that there are tons of American expats in Ecuador with whom they would probably develop close friendships, but this still wouldn’t provide them ready access to the richness of Ecuadorian culture. I lived in Morocco for a year and did my best to learn Moroccan Arabic, but for as much as I would learn, that was limiting me to giving a taxi driver directions and buying food at the market. It was fine because most Moroccans speak French so I was able to have deeper conversations in French but if you don’t speak the language, living in a foreign country is a bit frustrating. I wouldn’t like to live in a gated community and move only around expats. If you just move for the costs, you can live in Belize where people speak English, or to Middle America like mentioned before, where costs can be very low too. Sure there is a thriving expat community in Ecuador, like there is in Antigua, Guatemala, but you miss out on a lot. one learns by doing. if your parents were living in the spanish culture and had to shop, talk with neighbors and so on they would in fact eventually learn the language, and as such take part of the culture. Much of the so called culture for expats is the natural evolving culture and you are right, if they stay with the expats they will lose much of that. Hi Anne, you are right, we split the $1,000 costs in two, however, you can live in Guatemala with $500 on your own, that would be a leaner lifestyle but it can be done. Yes, I speak Spanish fluently and have always tried to learn the language to communicate with locals. My time so far has been spent fixing up my house and developing a 90 acres piece of land that I bought last year. It takes a lot of time getting the permits due to the bureaucracy. I also enjoy visiting the region, I have several amazing Maya ruins nearby, including World Heritage site of Tikal, and a crystal clear lake to swim every day. The reef barrier of Belize is 3 hour drive away, within a 5 hour radius I can go to Mexico, climb an active volcano, visit a colonial town, swim in the Caribbean, and much more. I enjoy the quiet life and the change of scenery. A few neighbors are expats who like me fell in love with Guatemala and relocated there. As far as cultural enrichment is concerned I have learned a lot from the locals, they are amazingly self sustainable, they know about plants, animals… and have some lovely traditions. It is enriching for me, but I get that to other enrichment means ballet and opera, art galleries and museums, and you don’t get that here. I also think it’s disingenuous to say “$500 a month” because you’ve paid for housing and cars in advance. Sure, you’re not paying for it every month, but you still have to pay for it at some point! Shouldn’t that go into the cost-of-living calculation? I certainly couldn’t go down to Guatemala with $6,000 and expect to live with the author’s lifestyle for a year. I think the title of this article is VERY misleading, and honestly I expect more from GRS. Probably the same things you would have done in this country for cultural enrichment. Do we really think that a rancher in texas or kansas has no cultural enrichment? Good job on the retirement strategy. I’m kind of confused living on $500 a month doesn’t actually include the $250 a month in travel? It’s not necessary to live, but it is something that you do spend regularly (it’s a cost because you are abroad). That’s 50% of your living budget to not include it seems a little unfair. If it’s okay to subtract the travel because it’s not necessary, you could remove the internet and handyman and get that “living on” amount even lower. I don’t see any savings for when a car, computer, chicken or appliance dies. It turns out that chickens also make other chickens. BUT back to my point: I brought up savings for when something happens to car, house, appliances, etc. ALSO, I brought up not including the travel in your budget when it’s really increasing your budget by 50%! Gary, I do not add the travel costs because I want to show how much it costs to live in Guatemala. How many times a year you choose to go back “home” is a personal choice, however most expats living here will have similar staff costs. I don’t include savings because I am living off investments already so the money is there to buy another car or computer. Love this story. I would like to see more about passive incomes for people wanting to retire early. Thanks for writing this ! A very interesting article thank you. It is a subject that I have thought about for some time and I am always interested in talking to expat retirees living in countries that I am traveling in. I have been to Guatemala and can picture where you live…..some of the lakes up near Tikal area. As much as it is a beautiful and interesting place, I always had a sense of having to watch my back there with all the crime. I was a traveling around on my own most of the time….local buses etc. So I am interested to find out that after all your travel, Guatemala is your first choice. A question. What do retirees from the USA do regarding medicare if they are living overseas? Keep it going? Are there rules about length of time out of the country etc.? Medicare does not cover people living abroad. Medicare covers people living in the states and U.S. territories, and a few exceptions (such as traveling through Canada to get to Alaska, or if you are travelling near the U.S. border). If living abroad you would have to travel back to the U.S. to utilize Medicare. This would require maintaining your Medicare coverage. (Part B coverage (outpatient/professional care) requires a premium payment). Medicare coverage does not extend overseas, although social security and pensions ect will extend overseas. In general you can a. get a local policy which is generally extremely cheap overseas, b, go without everything but catastrophic, or c, get what is known as a global insurance policy-less than us insurance but more than the other two most likely. Take into consideration that health care is cheaper almost everywhere in the western world than the us (to the point that younger expats never have to get things like approvals or precertifications because the insurance company is paying so much less), and that you would be a pay patient in most of those countries..paying and then getting reimbursed. I am not a retiree but lived in Germany for almost ten years, with american insurance. I would probably keep my medicare B and leave it at that. The last time I had a mammogram in germany is was 30 Euros-total cost not my percentage. There is some crime, but mainly due to drug traffic, the tourist sites around here haven’t had problems in years, but you sometimes hear about drug lords shootings. The drug traffic problems have resulted in more police and military presence that in turn offers more safety to normal people. really fascinating post! Do you think you’ll move elsewhere if your property project is successful and you make enough income on it? Also, how do you deal with management of your overseas properties? Do you pay a manager out of the rental income you make? I manage all my properties at the moment, tenants pay via wire transfer and the current tenant recruits the next. It has worked fine so far. If I move it won’t be because of success of failure, just because I would feel like living somewhere else. I enjoy living here so far and have lived previously for 3 years in Guatemala so I really like it. Awesome read. It sounds like you’ve left no stone unturned in regards to adventures and experiences! I would love to (and hope to) travel abroad and live abroad someday. Access to nearby and quality healthcare facilities is key for me, so I don’t think I could do it long-term in a remote area like the area of Guatemala you’re in, but I do plan on taking a 2-year sabbatical (A second one—I’ll be taking one in 3 years for school, personal time) in about 10 years, to W. Africa to stay with family, where the cost of living is also very low. As a bonus, I could rent my house out and make over $20k in those two years. I’ve always like the idea of taking frequent long-term breaks from working/ daily life, moreso than retiring early. Mainly b/c I could see myself getting just as bored with being “on the road” as I would be being off it. I always appreciate hearing about folks carving their own way in life instead of sticking to the status quo b/c that’s all they know, or are comfortable with. If you rent your house you can easily live off the rent. As far as healthcare, I have a regular hospital half an hour drive away, and top hospitals are 8 hours away. I am not too worried for now, as there are many places in the US where you also are 30 minutes away from the hospital. First off I want to say that while this comment may sound negative in tone I don’t mean to be negative towards the author of this post AT ALL. She sounds like she has worked very hard to get where she is and deserves the life that hard work has afforded her. That being said, this site is titled “Get Rich Slowly” and this post seems to be more about how to enjoy being rich. Don’t get me wrong, I’m not saying that she’s clearly rich because she moved to Guatemala, or that clearly on a $500 budget (really $1000) she’s living in the lap of luxury, but those were choices to live sparingly so as not to have to work more, not in order to save more, and they were made after already having enough money and investments to buy three properties (one of which was 90 acres of land) in cash and take out a mortgage on another. I guess I understand maybe wanting to diversify the content on the site for readers at various points in their lives, but lately there seem to be more of these posts that have somewhat hidden pre-existing monetary sources that put them more on the fast track to riches, and the post then focuses on how they’re enjoying their life rather than on how they got there. I’m probably just jealous and need to realize that this is just an informative post about one way that a person can choose to use their finances but I just can’t get over how incredibly specific every part of this situation is and how it feels like it doesn’t really apply to 90% of the rest of the world. All financial advice is specific. The only advice I can think of that is not is to live within your means, years and years of giving the same advice will start to run dry over time. Therefore bringing in outside perspectives or a variety of stories can keep it fresh. Regardless of the title of the blog (seriously? that’s your point the title of the blog is x so it must only discuss x?) it is a personal finance blog, that covers all types of things because it is personal. It covers people saving, people spending, people aiming for retirement, people aiming for other financial goals…etc. I think this article is perfect for Get Rich Slowly. Typically people in America are told that they will need millions of dollars to safely retire, and that typically requires working until you are in your 60s, even with a good savings rate. However, there are other options out there (check out Mr. Money Mustache or Early Retirement Extreme.) I’ve been a GRS reader for 4 years, but it was only after discovering Mr. Money Mustache 2 months ago that I see there is a potential for escaping this rat race while I’m still young enough to do something with my life. So keep these alternative viewpoints coming! Hi Joseph, you are right that my post is not really about how I got there as much as how I live cheaply in a foreign country. However, I want to explain that I did not inherit a penny, I have started working early, as a teenager I was tutoring, teaching the piano, baby sitting, etc… in college I always had half a dozen different sources of income that allowed me to graduate with savings, and I also invested early so I could reap the rewards in my 30. I worked in IT, so was by no means a high flyer on the stock market. All I built was thanks to a high rate of savings and dedication. Hi Pauline, I really am sorry if my comment sounded negative towards you. Like I said initially, you sound like you have worked hard for every penny. When I said that some posts have “somewhat hidden pre-existing monetary sources” I didn’t mean to imply that you had somehow inherited a small fortune. I was just referring to the fact that you are able to afford to live the way you do based on the ridiculous amount of hard work you already put into your education and investments. Your story is really cool to read but it almost seems to go, “First I made a lot of money. Now let me explain how I spend it.” I guess my point wass that I’d like to see more of the part about how you got where you are now. In your response to me you already added insight into that. That could be useful insight into how to manage time to maximize earnings, or the value of squeezing in jobs like tutoring and how to manage money coming in from so many different part time jobs without losing track of what’s coming in and what’s going out. I’m not saying that I don’t want to hear the part of the story where you get to enjoy yourself. As someone who is trying to get rich slowly, it’s definitely nice to see what the end result of so much striving can earn you. I just like to see how you got there too. 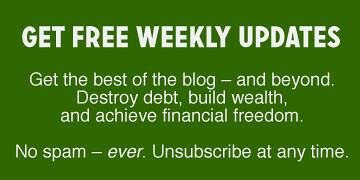 I would suggest (a day late and a dollar short here of course) that in spite of the title this is a general finance blog. I would further suggest that “rich” means different things to different people, both in the financial side and otherwise. Personally, I manage to live a rich life on only a pension and social security, so I am always, always, always, appreciative of posts that show that one does not have to have a million to retire well, and that there are a variety of alternatives to living well, on different salaries. Not everyone can be “rich” so alternatives are always worthwhile. I understand your point Joseph, although like Barb said, being “rich” is different for everyone. You may have a magic number of $1 million or a few thousands per month that will cover YOUR comfortable lifestyle. In my case, I bought a $80K house cash, including all renovations, most furniture was left by the previous owner in the package, I had to buy a fridge, a decent mattress and a few other things, add a car, a boat, and you get under $90K. If I lived alone and included my trips back to Europe and a repair/replacement fund for the things I own I would need about $15,000 a year. That is keeping a full time staff and other convenience luxuries I would probably not need if it were just me. At 4% withdrawal rate, I would need a nest egg of $375,000 plus the initial $90,000, that gives me $465,000 to retire. It is quite high, but if you are looking to have a $250,000 house and a $40,000 a year windfall in retirement you need $1,250,000, which is much harder to achieve. Before I bought my house I used to live in a lovely $600 house with all utilities but electricity and could have lived well on my own on $1,500, meaning a similar $450,000 nest egg would have done the job. I think it can be done in the Midwest, if you google $1000 monthly budget, a few bloggers break down how the live on $1,000 in the US including a small $400 rent in the Midwest. I was hoping to show readers you can make an early exit years before you thought possible and actually live well on less. I love the articles that involve semi-retiring early. I like these because it’s about winning and showing someone who has done it and is happy to share the hard work with what they have done to get there. I will not apoligize for winning. I’m on a 7 year plan to be where I want to be, debt free and earning a passive income to decide if I want to work. Pauline do you have a blog? I would be curious to read more about this topic because I find it fascinating. Or is there a book you recommend? Hi Bill, I have two blogs actually, you can find me at reachfinancialindependence.com and makemoneyyourway.com. American expats also need to consider their tax responsibilites before retiring overseas. American citizens are required to report world-wide income and may be liable for taxes both to the US government and in their country of residence. The exemptions for unearned income are not as generous as for earned income. Wow, that sounds like a dream retirement Pauline. Great story – it sounds like all that hard work paid off!! I retired early on more than that but less than I need, so I am certainly looking for ways to expand my travel for the same budget so I love posts like this. Hi Kelly, I am not looking to minimize my spending as much as possible, just trying to show that you can live on little money when you are abroad. Last year I traveled all around Europe on a motorcycle and spent around $1,500 a month (my boyfriend too, so if you travel on your own and don’t share a hotel room, expect to spend about $2,000+), and did the same around the US on a similar budget. You will spend much less if you travel slowly, renting apartments or houses for a week or a month at a time, cooking some of your meals etc. it will be much cheaper than taking a couple of cruises or organized holidays a year. Going to Europe and staying a month is not that much more expensive as staying a week, as most of the budget goes to the flight. You story is inspiring.. Really a dream retirement pan. Thanks for this post Pauline. I found it inspiring and it got my mind thinking about how I could do something similar – the sign of a good post for me is when it sticks around in my mind hours after reading it and this one has! For me, one crucial thing is missing. You can live on 500USD in Guatemala, but you also lose the opportunity to ever move back ‘home’ permanently, because you can afford it. That’s fine if you’ve only been there for a while, but I have seen many people do this in Europe (e.g. moving to Spain). May after a while, or even after 10-20 years, start missing their home country, or realise the new land is not the dream land they thought it would be. Some are stuck now because they don’t have the means to move back to a country with higher living expenses, and have, as a result of long inactivity on the labour market, lost many of their marketable labour skills. Fair point Peter. As I said previously, my house cost about $90K all in (repairs, furniture, car, boat…) and that would buy me a small house in rural France if I wished to move back. With the house paid for I could live on about $1,200 a month which I can afford to do, but you are right, some aspiring early retirees come here because their nest egg will only allow for them to live on $500 and it is impossible to do back home. As my budget includes a staff, a car, and quite a spacious home with a private beach it would feel weird to go back to smaller quarters, public transportation and doing the cleaning, gardening and home maintenance myself. Many expats sacrifice their quality of life when they go back to Europe or the US, or have to pay many times over to keep the same living space for example. A few I know have an identity problem, they don’t fully belong here, nor in their home country, you can have nostalgia about the good old days in your hometown but then you go back and people have moved on with their lives and things are different. Same thing if you decide to have children in a foreign country, they are considered foreigners in both countries. You have to weigh the pros and cons, to determine if expatriation is worth the sacrifice of being away from your loved ones. #1 – Who says you can’t earn income while you are living on $500/ month? (what you live on has no impact on what you earn…you could be a multi-millionaire living on $500). The poster has rentals that she is earning income on, and she is investing in a business. #2 – Who says that the 1st world is the only place one can gain or maintain “marketable labour skills?” If anything, living abroad in of itself is a marketable trait to potential employers (if you even require an employer if you move back home). Just because someone is living abroad doesn’t mean that they are just sitting around like a loaf…I think we need to cut out the stereotypes of living abroad and being retired, as being wallowing and useless. I know you didn’t mean it like that, but it’s a common misconception of folks who leave normalcy behind…it’s as if people consider it something that’s irresponsible and will “come back to bite you”. Crabs in a barrel syndrome or what not. Good point Lmoot. At the moment I have several sources of income that cover way more than my living expenses. I report monthly on Make Money Your Way what my blogging income is, and July was just over $4,000 so my living expenses are covered 8 times over just with one of my online endeavors (I also write for travel blogs but don’t include it in the $4K). There are tons of location independent jobs and you can start a successful business anywhere, the proof being all the people who came to the US and started from nothing yet became successful. 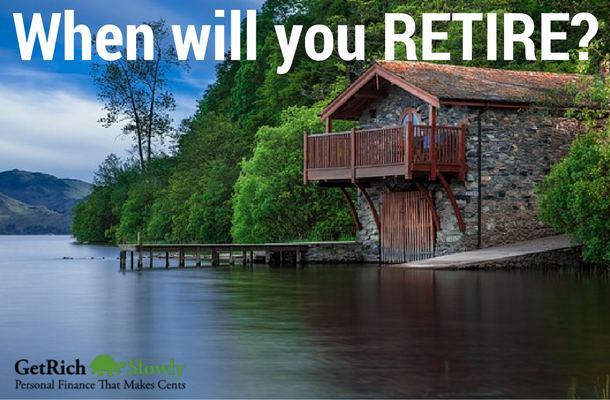 As we are more focused on retirement with this post, I know a few retirees who opened a guest house, it is not a big business but it pays their housing costs, their staff and their food, lowering their expenses to a minimum. Great story. I admire your determination in getting to your goal so early in life. These kind of stories are inspirational. Thanks. Your housing costs are not zero. Your housing was purchased with cash (how much?). How many years will you live there, how much for property or land improvements, and taxes? Will you make or lose money on the home purchase when you leave (and what does that gain/loss work out to on an annual basis)? At minimum, there is a lost opportunity cost (i.e. that $ could be generating a return on investments). How is it that nobody talked about the legality of owning property in a foreign country, not being a national? Can you have a business, and earn money, legally? If you sell your property, plus 90 acres, can you take the money out of the country? I know so many Americans who lost their $500K homes in Baja California (MX), after a court found they were not “legal” owners of the land. I know for sure that you cannot own a property, land, or do business,in India, Thailand, and most other countries in the world…. Most people wouldn’t consider Australia as a cheap place to retire, but we own a camper van there. We do a lot of house sitting, so our accommodation is free. In between house sits we sleep in our van. We cook most of our meals. You spend 1k for two if you , but even if you are alone you dont spend the half, you spend more, since the accomodation is the same price, so it would be like 650, but it is still awesome. How safe is in Guatemala?